Living in the Space Between means: I want to live and think somewhere in between the polarized rhetoric that rules most of our public discourse (especially religious discourse.) That I reject the false-hierarchies that says some people are my “teachers” and others are my “students”. Instead I want to live in constant anticipation that every person might be God’s teacher for me in that moment. Like the ancient prayer says, “May He be in the mouth of each who speaks unto me.” That I want to discover a Jesus-faith that is honest and challenging and all the while is still the most attractive and imaginative thing I could ever share with another person. We have all longed for God to be tangible. Some might sway to worship music, others go on missions, others fast from food. The universal quest is to feel the divine . . . and yet the divine seems aloof, even shy. 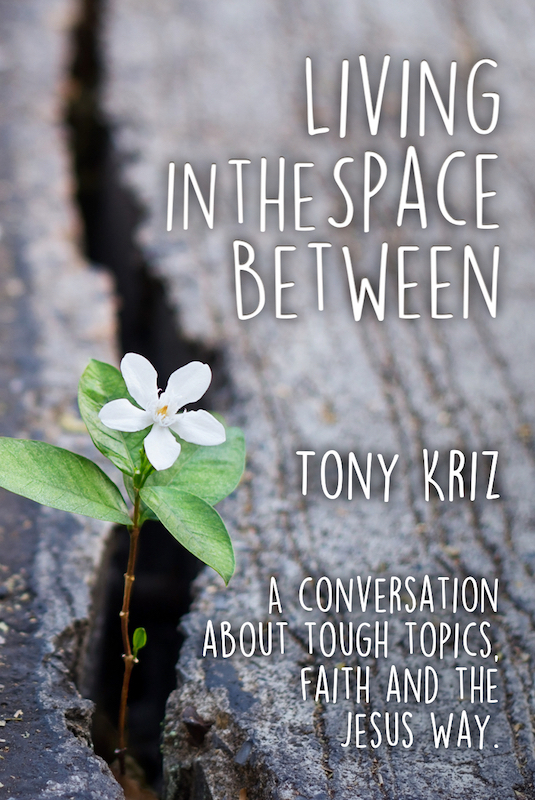 In this narrative-driven book, Tony Kriz leads the reader on a journey of “orchestrated epiphanies” along the eternal quest to tangibly encounter God, including the unpredictable moments that give us hope, and even more so, the long gaps between those moments that challenge our faith. 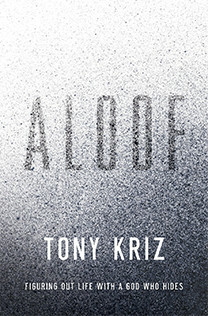 Get to know Tony Kriz (known by many as "Tony the Beat Poet" in Donald Miller's best-selling book Blue Like Jazz) through his real-life conversations and experiences that prove that God can and will use anyone and anything— from Muslim lands to antireligious academics to post-Christian cultures—to make Himself known. This book addresses the following question: What hope does Eucharistic liturgy bring to the future of churchplanting within the increasingly post-Christian urban centers of the Pacific Northwest and beyond? 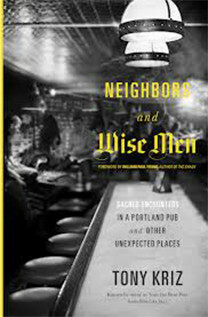 According to my research of a sample zip code of inner-city Portland, Oregon, only one in four people self-identify with Christianity and fewer than one in five attend church. Churches are shrinking rapidly and closing their doors. 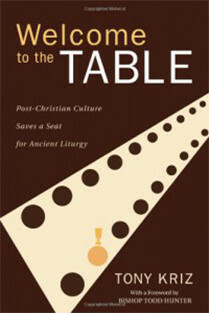 Our culture is increasingly defined as post-Christian. The plans of the recent church-planting efforts are losing ground. If my blog and books are not enough, you can find a library of my writings on Christianity Today's website. 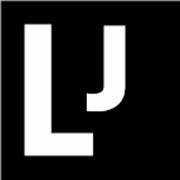 Over the last few years, I have been writing a monthly column for Leadership Journal on topics at the intersection of faith and contemporary culture. I have tried to add to the national conversation by exploring under valued perspectives on topics like: Islam, gay marriage, alcohol, immigration, evangelism, abortion, the marginalized, spiritual practices, Atheism, commuterism and much, much more.